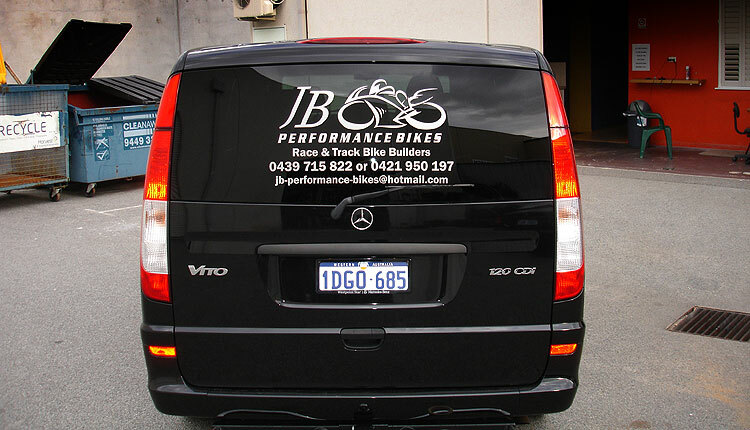 A black Mercedes-Benz Vito seems like the perfect candidate for van signage, and so for JB Performance Bikes we kept it nice and simple but contrasted it with silver vinyl. Because it’s cast vinyl, it will last for years, and will give an impact no matter what the lighting or conditions. 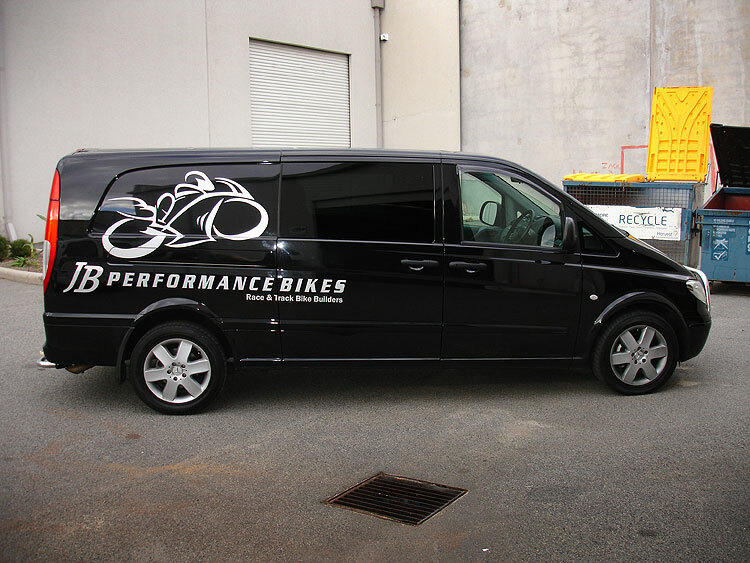 Van signwriting is certainly a good idea for anyone who wants to promote themselves. The van’s condition, though, is critical. It needs to be brand new or with extremely good paintwork. We can either signwrite your design, or we can create a design for you – it’s your choice. Head to our contact page to ask us how our expertise can help you to promote your business.